When Captain America throws his mighty shield, there's gelatin for everyone! No other dessert will dare oppose a delicious gelatin made using this plastic mold in the shape of Cap's shield. Measuring approximately 10-inches in diameter, snack time at Avengers Mansion just got a lot more awesome! 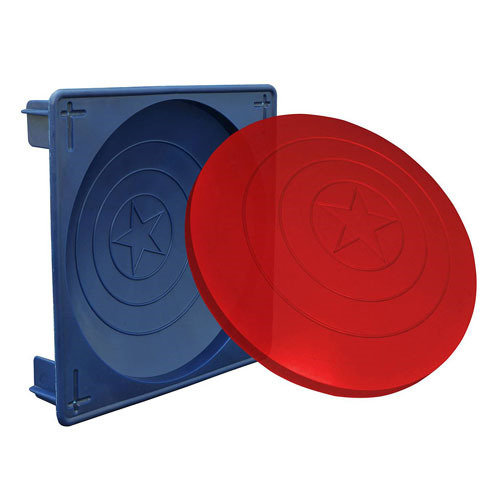 The Captain America Shield Gelatin Mold comes packaged in a full-color window box and is not intended for use in the oven. Ages 13 and up.